The U.S. and China have reached their first ever cybercrime and cyberespionage agreement, but the deal is quite general and how it will translate into actions is still unclear. Leaders of both countries announced the deal in Washington on Friday after two days of top-level talks, but both dodged questions on specific hacking incidents or the indictment last year by the U.S. of five Chinese military hackers for cybercrimes. "We have agreed that neither the U.S. or the Chinese government will conduct or knowingly support cyber-enabled theft of intellectual property, including trade secrets or other confidential business information for commercial advantage," President Obama said at a White House news conference. And that appears to be the main thrust of the agreement -- government-sponsored cyberespionage for the economic gain of companies. It doesn't cover government espionage and is pretty specific in its definition but, as President Obama indicated: It's a start. The deal also seeks to improve cooperation between law enforcement in both countries on cyber investigations. "We have made significant progress in agreeing how our law enforcement investigators will work together, how we are going to exchange information and how we are going to go after individuals or entities that are engaging in cybercrimes or attacks," said President Obama. Chinese President Xi endorsed the deal and acknowledged that disagreements between the two countries over hacking were something to be avoided. "We should strengthen dialogue and cooperation," he said through an interpreter. "Confrontation and friction are not the right choices for either side." 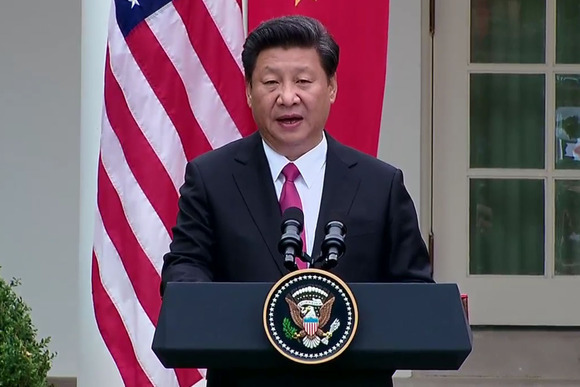 Chinese President Xi Jinping addresses a news conference at The White House in Washington, D.C., on Sept. 25, 2015. But Obama, preempting the questions that would undoubtedly be asked on the deal, went on to say what everyone was thinking. "The question now is, are words followed by actions. We will be watching carefully to make an assessment as to whether progress has been made in this area," he said. Neither leader addressed a question about whether China would hand over hacking suspects to the U.S. Last year's indictment of the five accused military hackers illustrated that without an agreement on extradition, such moves were more symbolic than anything else. 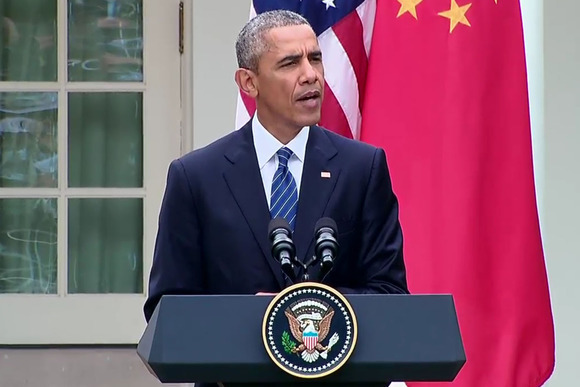 Obama, though, indicated that the U.S. remains ready to act against Chinese cyberattacks while working with the Chinese government. "I believe we can expand our cooperation in this area even as the United States will continue to use all of the tools at our disposal to protect United States companies, citizens and interests," he said. The two governments also said they would work together to try and establish international "rules of the road" for conduct in cyberspace.